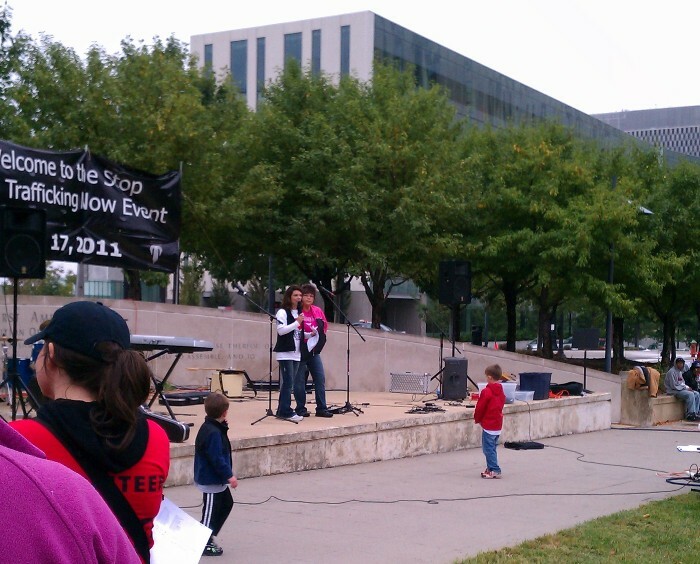 This weekend, I walked and jogged my second 5K walk at the Stop Child Trafficking Now Kansas City 5K Run/Walk. Earlier this year our daughter Heather encouraged and challenged me to do a 5K with her (with her running it and me walking it). I didn’t think I could do it, but God helped me to finish it. 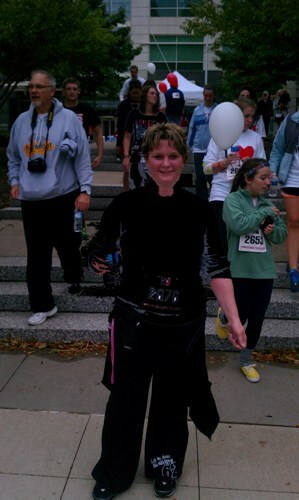 This Saturday I did another 5K, walking part of it and jogging part of it. This one was harder than the last one, with the hills in Kansas City. But I pushed on and even beat my last timing! As I crossed the finish line, I was so excited! This woman was beaten and arrested many times. She said some children and women don’t make it out alive from the streets. God delivered this woman from her lifestyle of prostituting and addiction, and she now rescues and helps child victims in her organization in Kansas City. 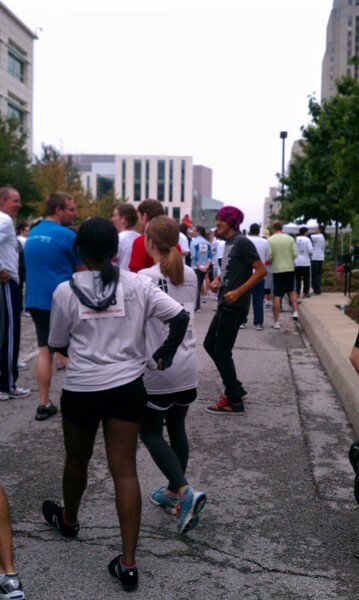 She is a Christian and boldly declared her faith in God at this 5K – it was awesome! With every step I took in this 5K, I was taking a step of faith and victory for the children who are victims of child trafficking. I was also able to raise $50 for this worthy cause on my personal SCTN page. You can still donate to my personal page here, by check or donating online.